Since we launched it at Convention, we've seen thousands of people enjoy the benefits of this unique and inspired new weight management product. Because we're confident that you will really enjoy it, we offer this amazing one-time-only deal to you. Purchase your sample of Stixated on May 23-24 at half price, and see for yourself how this product will become a favorite. Stixated is designed to satisfy you between meals, promote a feeling of sustained fullness and help you consume fewer calories. Try STIXATED today, feel great and be an inspiration to others. See why everybody loves this terrific new product! Stixated™ is a delicious berry-flavored drink mix formulated to help you consume fewer calories throughout the day. It contains Garcinia cambogia, one of the most widely researched and clinically supported weight-management supplement ingredients. The hydroxycitric acid in garcinia produces an immediate sense of fullness. Stixated also contains chromium picolinate. In studies, women taking 1,000 mcg of chromium picolinate daily consumed 25% fewer calories compared to an 8% reduction of calories in the placebo group. NSP's fiber blend provides 3 g of fiber per serving and helps promote satiety, the feeling that tells you to stop eating. Brand-new Ultra Therm CF jumpstarts your metabolism with a proven, caffeine-free herbal blend. This thermogenic formula increases calorie burn while helping your body break down fat. Take advantage of this special discount May 23-24. Although inventories have been increased for this promotion, NSP reserves the right to discontinue any product sales due to exceedingly high demand and/or manufacturing constraints. Maximum of one offer per order. Discounted products may not be combined with any other offer, discount or certificate. Offer valid in the U.S. only. These statements have not been evaluated by the Food and Drug Administration. This product is not intended to diagnosed, treat, cure or prevent any disease. My friends tell me the one thing they can't give up is their flavored coffee creamer. I can understand. Creamy, sweet, smooth, with all sorts of different flavors to choose from. The problem is the ingredients. Have you ever read what's in those bottles? They are full of artificial colors, flavors, preservatives, refined sugars, high fructose corn syrup, and hydrogenated oils. As far as I can tell, most of them don't even contain milk! So if you're hooked on store-bought creamer then today's your day. 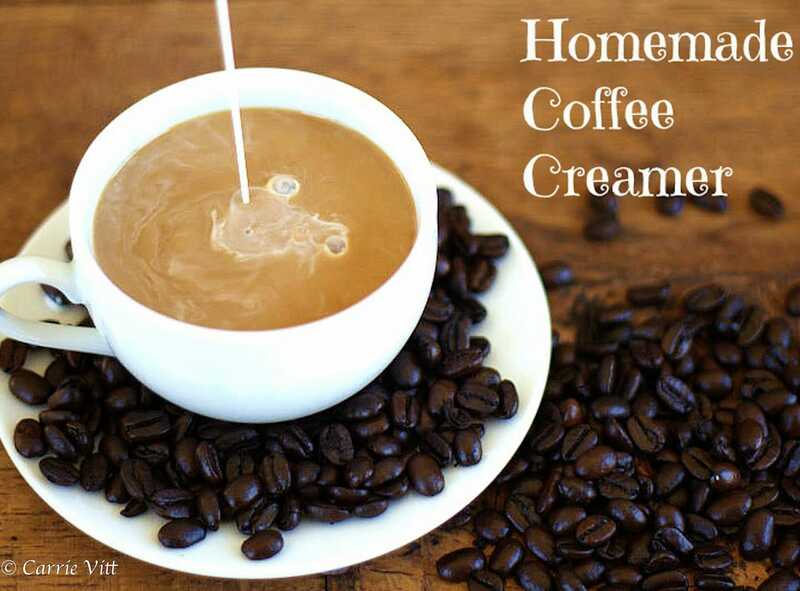 I've developed several recipes so you can make your own creamer at home. Each recipe takes about 5-10 minutes to whip up. You can double or even triple them if you'd like to have enough creamer to last a little while. Next time you have friends over for a gathering, make a few batches of homemade creamer, put them in cute bottles and have a coffee bar. You can include whipped cream, chocolate shavings, cinnamon sticks, etc. They are also fabulous poured over hot oatmeal at breakfast. 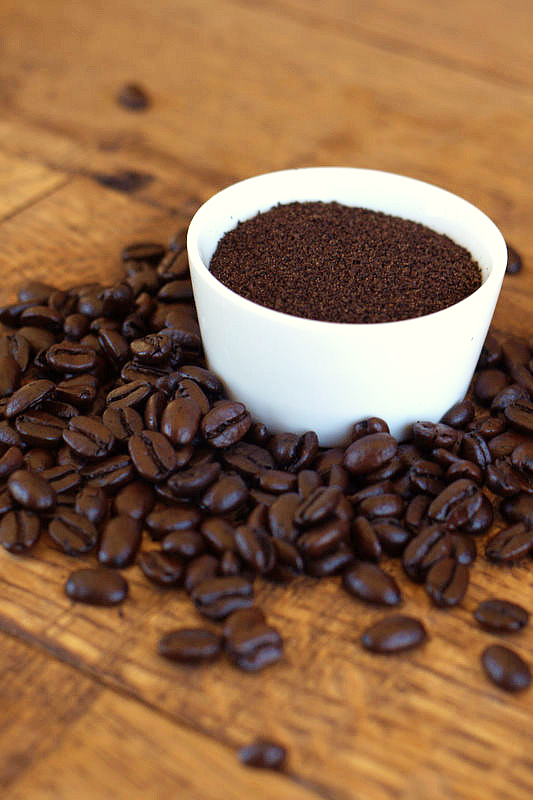 A great alternative to regular coffee is herbal coffee. Teeccino is an herbal coffee that tastes just like the real thing. I even put the herbal mixture in my espresso pot and brew herbal espresso. No caffeine or acidity and even the kids can have a cup! I prefer to strain each of the creamers through a fine mesh sieve to prevent any spices floating in my coffee. If this doesn't matter to you, then simply skip this step. Also, if you prefer a sweeter creamer, than simply add extra maple syrup. Prefer it a bit more creamy? Substitute some of the milk with heavy cream. The creamers keep for about 10 days in the refrigerator. I think I mentioned that we are working on our new TCP web site. as we undertake this HUGE project. because you can tell me in the P.S. but we will consider all of them! So please…….. tell us what else you want Superman (Super TCP) to do for you!?! Use Terra Cotta Pendants to Diffuse Nature's Sunshine Pure Essential Oils wherever you go. NSP Managers, save up to $100 instantly on May 15! Help us celebrate you on Manager Appreciation Day! We appreciate everything you do to share Nature's Sunshine with the world and to help inspire others to better health and well-being. The work you do each day really does transform lives! To show our thanks, we want you to take advantage of extra savings on Manager Appreciation Day, Wednesday, May 15! Earn an instant discount of $20, $50 or $100 on an order you place Wednesday, May 15! 1. Add at least $200 of product in your Shopping Cart. Continue to Checkout. 2. Type the offer code in the offer area (choose an offer code above that best fits the purchase amount). If ordering by phone, mention the code to your Order Sales rep.
To qualify, the pre-discount total must be at least $200. QV points will be discounted 20, 50 or 100 depending on your order size. Offer applies to Internet and phone orders only. The discounts only apply to regularly priced products and may not be combined with any other offer, certificate or discount. Limit one offer per account. Valid for US managers only. This historic meeting will be taking place in only three weeks! The hotel discount expires this Thursday, May 16, so now is a GREAT time to book your trip. The meeting will take place the two days before the Chicago Health Freedom Expo and is located at the same hotel. Participants will include both Voting Member Participants and Observer Participants. What is a Congress Observer? There are 60 seats available for Observers of this event. Observers will have full participation in the Meet and Greet networking event on Wednesday afternoon and the group Working Session on Wednesday evening. They will have an Observer seat on Thursday with full access to watch the Health Freedom Congress proceedings. They will not have microphone access on Thursday or be able to vote or to participate in the deliberations of the Congress on Thursday unless requested to by the Congress itself. The Observer rate also includes the Thursday evening Health Freedom Awards Banquet with an organic dinner and keynote speech by Rosemary Gladstar. What is a Congress Voting Member? NHFC has invited organizations promoting health freedom in the United States to be Congress Voting Members. These members will convene to sit "in the round" where they will share their strengths and campaigns with each other and strategize ways to work together, strengthening the health freedom movement through unity and solidarity. Registration for Congress Observers is available now on our website. Please REGISTER HERE. More details about the meeting can found on the 2013 US Health Freedom Congress Homepage. Hotel accommodations are available at a group rate through the hotel directly (until May 16) and should be booked early to ensure a spot. who are making this gathering possible! We invite you to become a sponsor of this event to help make this great meeting of the minds possible! If you are interested in sponsoring the 2013 US Health Freedom Congress or donating your time or services, please contact Jerri Johnson at 651.688.6515 or jerri@nationalhealthfreedom.org. Traditional Chinese Medicine, practiced for millennia, approaches health holistically, aiming for whole body balance. The concepts brought to us from TCM-chi, yin and yang, the five natural elements-are more than just poetic. They have inspired people around the world for thousands of years to better health and well-being. Nature's Sunshine's Chinese herbal formulas have been skillfully combined to maximize potency and ensure safety. Take advantage of these special prices May 9-10. All blends are concentrated for maximum benefit and minimal capsule swallowing. • Anti-Gas helps improve gastric functions and supports the natural elimination of excess waste in the intestines. • Blood Stimulator supports blood purity, liver functions and connective tissues. • Breathe Activator reinforces the activity of the respiratory system and supports body functions and endurance during exercise. 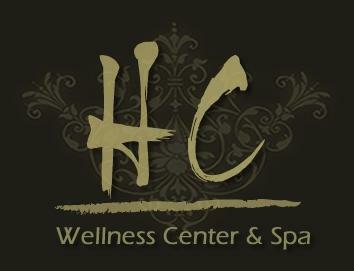 • HY-C promotes organ hydration and improves the look and feel of the skin. • IF-C nurtures the pancreas and aids the rest of the glandular system. In the Chinese philosophy, it balances the levels of heat in the body. • KB-C supports the structural system (joints and bones) while nurturing the kidneys and helping to slow down premature aging. • Kidney Activator promotes kidney function, helping to maintain healthy levels of fluid in the body. • Liver Balance supports the digestive and nervous systems to support liver function. It also promotes functions unique to the female body. • Lung Support aids a weak respiratory system, soothes mucous membranes and supports the lymphatic system. • Mood Elevator plays a key role in maintaining a healthy and positive attitude. • Nervous Fatigue nurtures the nervous system and aids gastric and sleep functions. • Spleen Activator supports the spleen and acts as a tonic for the digestive system, helping to transform foods into energy. • Stress Relief sustains the body under stress and balances the functions of the nervous system, favoring calm and tranquility. • Trigger Immune supports the immune system and promotes energy. • Nature's Chi boosts metabolic functions and the immune system, and it energizes the body. Special discount only available May 9-10, 2013.